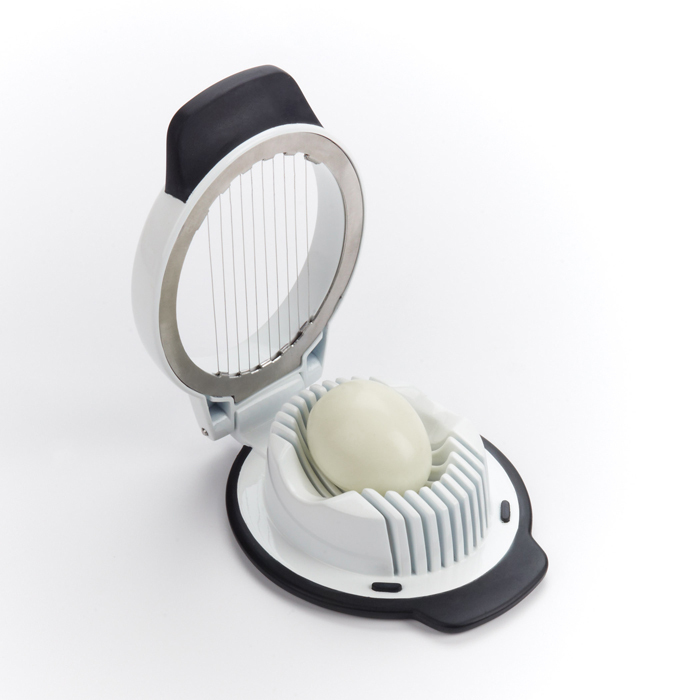 The OXO Good Grips Egg Slicer is a simple solution for quickly and easily slicing hard-boiled eggs. This no-fuss Slicer yields perfect 5 mm slices with one simple press. 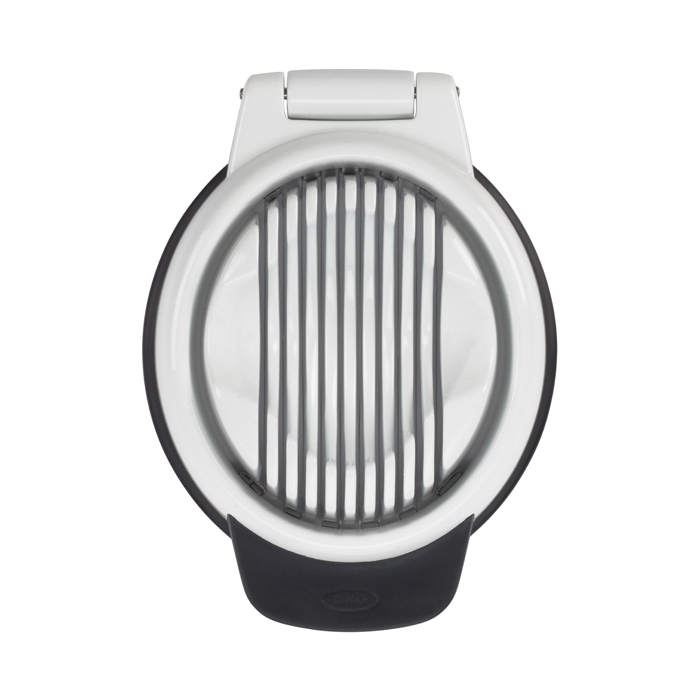 The holder cradles the egg in two directions, giving you the option of round or oblong slices. 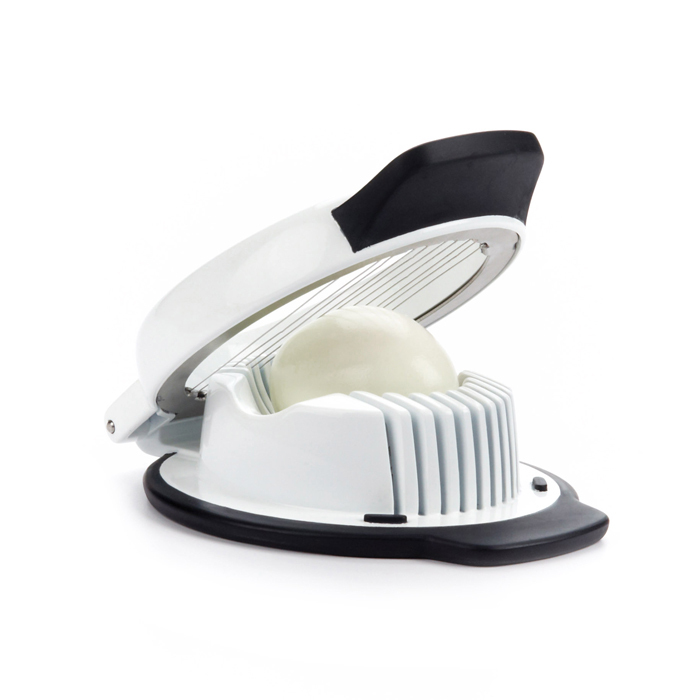 The raised handle is easy to open and close, and the non-slip base provides a comfortable grip while slicing over bowls or plates. Top-rack dishwasher safe.